It''s Only Rock 'n' Roll But I Like It! 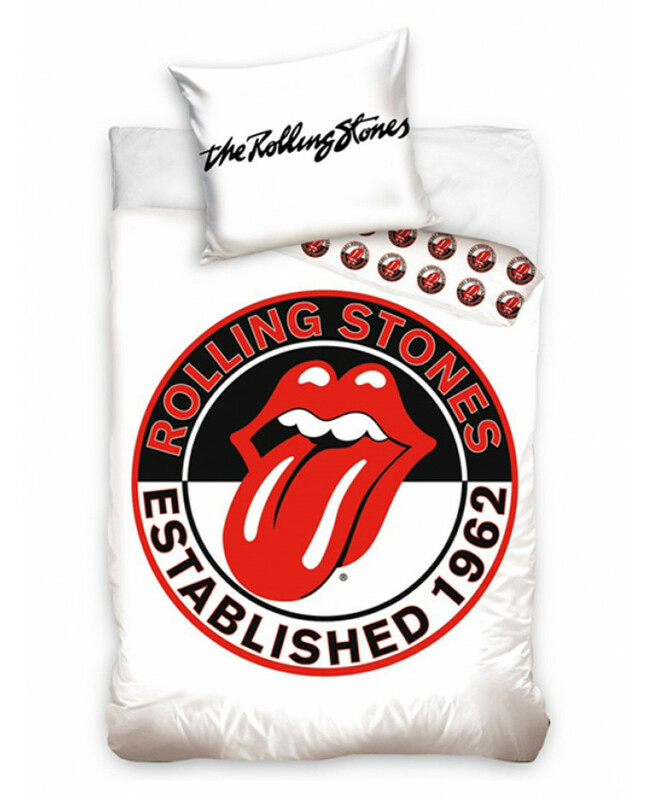 Rock out with this amazing 100% cotton Rolling Stones single duvet cover set. 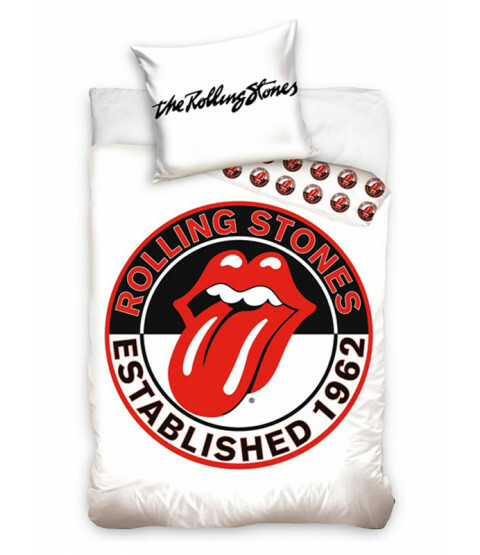 The duvet cover features the fantastic Stones Lips logo with the words 'Rolling Stones Established 1962' running round it, set on a white background. The reverse has a smaller version of the logo in a repeat pattern. Every fan of The Stones will love it! This item can be machine washed and tumble dried on a cool setting.